When Eduard Folayang walks down the ramp and into the ONE Championship ring this Friday, the face of Team Lakay will, albeit for a fleeting moment, for sure have flashbacks of that dreadful night back in November. 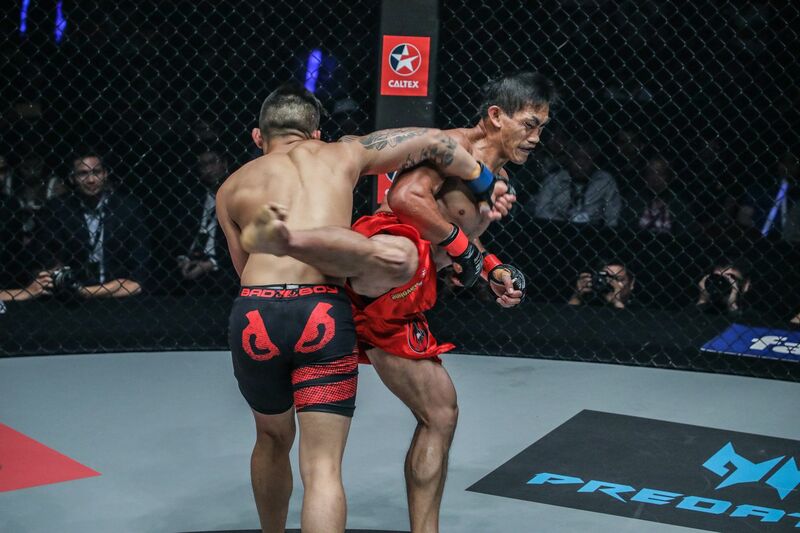 Folayang’s second round knockout loss to Martin “The Situ-Asian” Nguyen more than eight months ago sent him crashing down –literally, and his lightweight belt landing onto his rival’s shoulder. This scene has played inside his head over and over again, and that fight’s demons are what he hopes to drive out as he fights his way back to title contention in the undercard of “ONE: Reign of Kings”. “The Landslide” will take on newcomer Aziz Pahrudinov in his first match in front of his compatriots since being knocked out cold in front of thousands at the Mall of Asia Area last year. “I needed the time off to realize where I went wrong — whether that was in my preparation or in the fight itself. I wanted to know where I had miscalculated. I reviewed every angle, and I really took the time to look at my mistakes,” added the former school teacher. Correct his mistakes he did as Folayang immediately went back on the winning track as he posted an impressive victory in Singapore last May versus the erstwhile unbeaten Kharun Atlangeriev via unanimous decision. That win was enough to give the 33-year-old fighter his confidence back and silence those who were quick to write him off after his loss to Nguyen. A win against Pahrudinov on Friday will definitely put Folayang’s name back as a heavy favorite for the title and no less than ONE Championship founder and chairman Chatri Sityodtong believes the pride of Baguio City can deliver. “When Eduard lost, everyone wrote him off, I remember a lot of people saying he should retire. I said bullsh*t, because they don’t know what they’re talking about, they don’t know martial arts,” ONE’s head honcho quipped. “For the record, Eduard is not a gatekeeper, I still consider Eduard very much a title contender. Of course, we gave him two tough fights, two undefeated Russian contenders, especially Aziz, who’s a Combat Sambo world champion, this is no walk in the park.” “Eduard’s not a gatekeeper. If he wins this fight, he’s very much back in the title picture,” Sityodtong said. However, getting the win will not come easy for Folayang, as Pahrudinov is considered one of the toughest Russian lightweights with 20 victories, 13 of them coming by way of submission and 6 by knockout. Still, with Folayang like a hungry lion out in the jungle looking for a prey, it wouldn’t be long until he goes for the kill again in a title match and have that shiny belt resting on his broad shoulders again. “ONE: Reign of Kings” features Folayang’s stablemate Kevin “The Silencer” Belingon versus Nguyen in the main event for the interim world bantamweight title. Co-main event is the lightweight battle between Shinya Aoki of Japan and Shannon Wiratchai of Thailand. Other Filipinos seeing action are strawweights Joshua Pacio and Rene Catalan against separate opponents. “ONE: Reign of Kings”: Can Kevin Belingon silence Martin Nguyen?